Diablo 3 is a well known dungeon crawler RPG video game developed by Blizzard Entertainment. 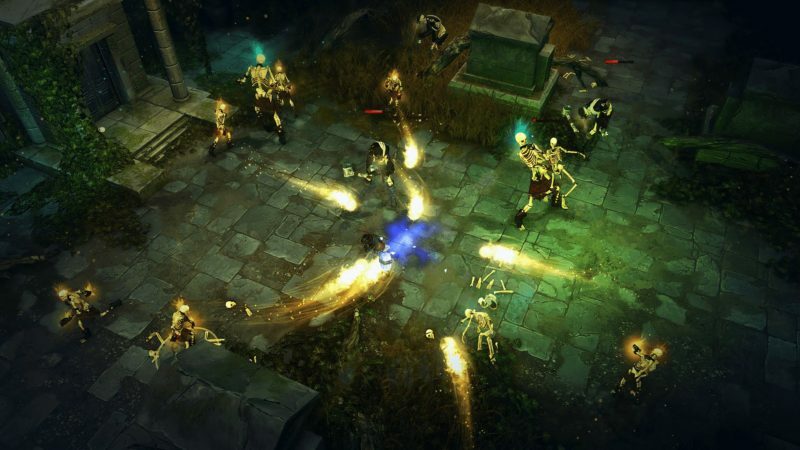 This third installment of the Diablo franchise came with seven playable characters and even online features. It’s also one of the fastest selling PC games ever. If you’ve finished the game (including the expansions), here are some other games like Diablo 3 you can check out. Instead of putting random unrelated games like some of the articles we found, we try to make this list more relevant. We didn’t include games like Marvel Heroes as it has been taken down late last year. Like Diablo 3, Path of Exile is also an online action RPG game that has a pretty dark setting to it (continent of Wraeclast). This game comes with many features, including PvP, online item economy and character customization. One great thing about Path of Exile is that it’s claimed to be completely fair to play and that they won’t make it pay to win, ever. This differentiates the game from many others where you have to spend just to obtain advantageous in-game items. You can also choose different classes, like Templar, Witch and Marauder. In this game, skills are obtained based on items. This means each item (gems) grants you different skills in battle, such as power or defense. There are also plenty of missions in this game, and some are them are really challenging. One of the main attractions of this game is the PvP. You can battle with others in PvP tournament seasons. There are also race events and daily leagues where you can win awesome prizes. 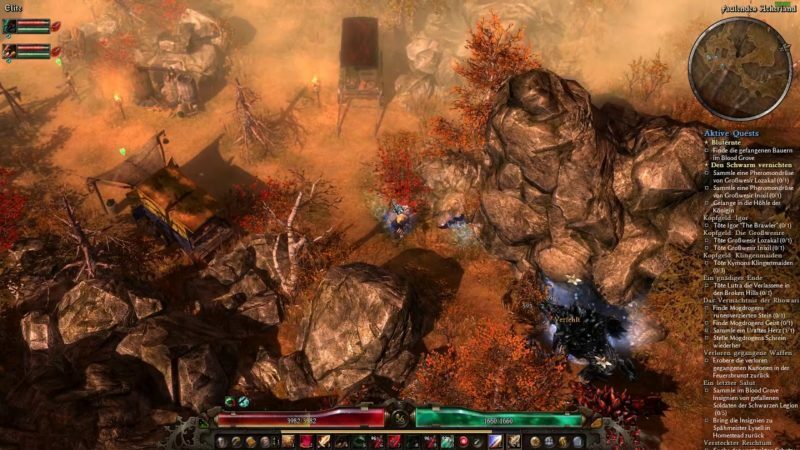 Torchlight 2 is also similar to Diablo 3 and Path of Exile, as they are all in the action RPG genre. 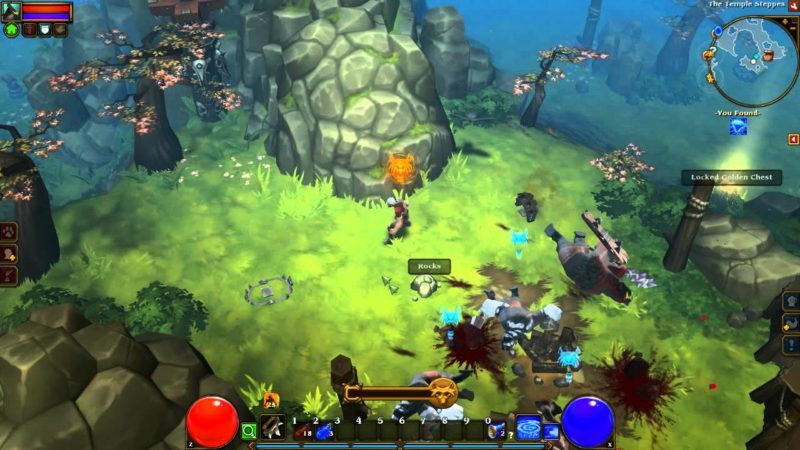 The world of Torchlight has plenty of monsters, awesome treasures and secrets. Of course, your job as a player is to become a hero and deal with the Alchemist who destroyed the town of Torchlight in the first installment. This game also comes with multiplayer features where you can go into co-operative modes with your friends. It can be done via LAN or through the internet. You can also just use the matchmaking function to pair with new friends. Torchlight 2 also adopted the open world concept, where you’re no longer stuck in the town, but you can check out other towns and areas. Unsurprisingly, they brought back fishing and pets too, with more features along with it. In this game, you can play as one of four classes, i.e. engineer, outlander, berserker or embermage. You can customize their skills accordingly depending on how you play (e.g. defensive or offensive). Next up is Grim Dawn which has an apocalyptic fantasy world setting. 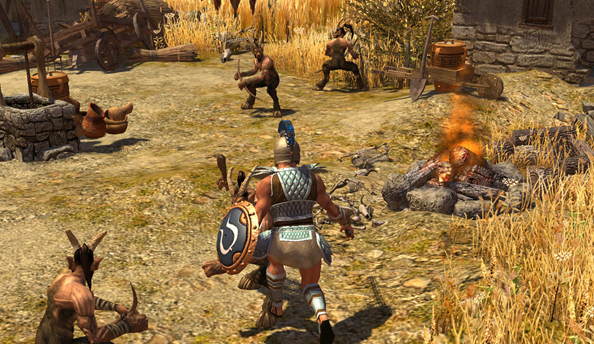 This game was developed by Crate Entertainment, who managed to get the Titan Quest engine license. In this game, humanity is apparently on the brink of extinction and people value iron over gold. There are also otherworldly entities in the game that are in contact with human beings. It’s an action RPG, like those mentioned above. Grim Dawn comes with a dual class system where you can combine any of six different classes, including arcanist, soldier and shaman. Skills are also embedded within items, so you have to collect more items to grant you more item skills. This game is unique in the sense that your choices in certain quests will affect the story in the game. Some villages may even be destroyed depending on your own choices. Grim Dawn also comes with multiplayer features where you can play with your friends. There are plenty of features in this game, including crafting items and exploring dungeons. 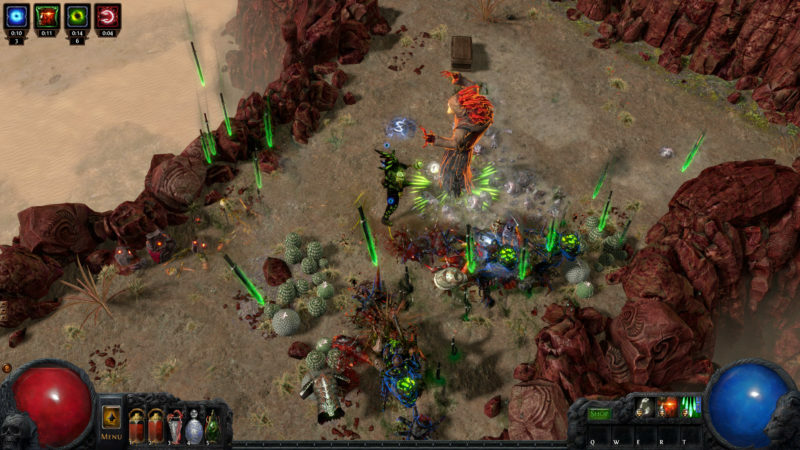 Titan Quest is another game that is similar to Diablo 3, and is a great action RPG video game. There’s a 10th anniversary version now on Steam and it came out like two years ago. The anniversary edition comes with both games, i.e. 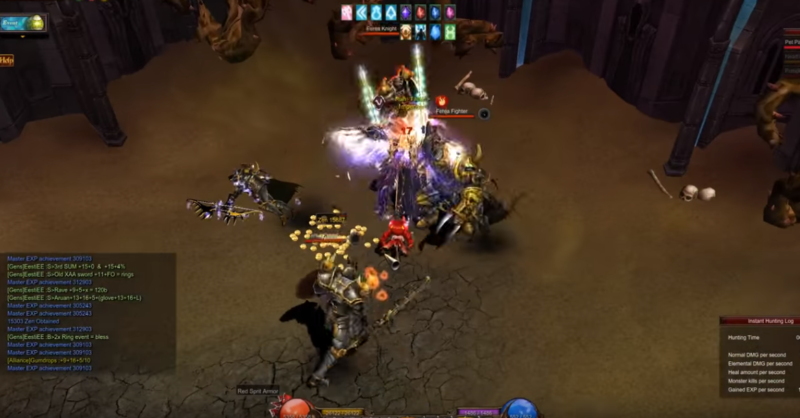 Titan Quest Immortal Throne and Titan Quest. This game is about Titans who escaped their prison and caused problems on earth. Your job is to play as a hero to go against these Titans and determine the fate of mankind. You will encounter all kinds of mythical monsters, like Cerberus. Titan Quest comes with over 1,000 different items for you to customize your characters. You have the choice of 28 classes as well. This game also allows you to explore the ancient world, i.e. places like the Hanging Gardens of Babylon or the Great Wall. It also comes with an online multiplayer feature where you can cooperate between 2 to 6 players to explore maps and challenge monsters. 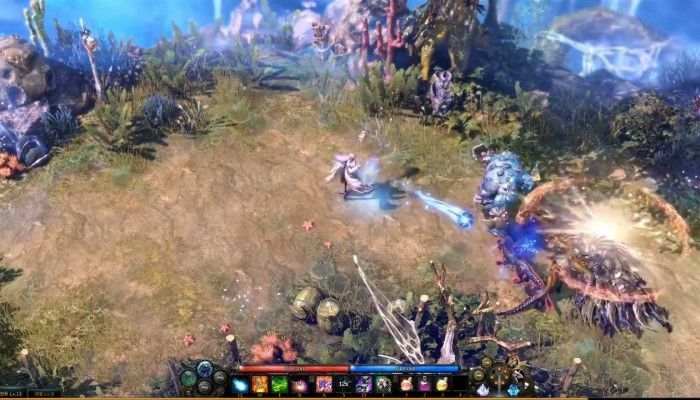 Lost Ark Online is a 3D MMORPG that is set to come out soon. It has currently undergone a few closed betas so far but the official launch hasn’t happened at the time of writing. This game is about a demon army Kazeros that is causing chaos to the world. They invaded the human world and the world is currently a place that has no heroes. Hence, players have to go to the Lost Ark to gather items to fight the demon army. Although it’s not out yet, it should be coming out this year and people are just waiting for it to be launched. MU Online is more of a MMORPG but the gameplay, third person view and style of killing monsters is similar to Diablo 3. This game was developed by a Korean company, Webzen, many years ago. Writing on this game brought a lot of nostalgic memories. There are a few classes to choose from, including dark knight, wizard and elf. This game is purely online and is on PC. The aim is to level up, fight new monsters, explore new areas of the map, hunt for treasures or even take part in events. There’s also a place for you to conduct trades with other players. One of the most exciting parts of the game is their PvP system. The unique thing about the game is that if you kill another player, you’ll get a different status (e.g. murderer) where you’re more vulnerable to losing items. Also, only certain servers allow PvP. So if you wish to avoid it entirely, do use the non-PvP servers. Each class also has their own skills that come with higher levels. There are also random gold monsters that spawn and you can kill them to obtain rare items. Next on the list of games like Diablo 3 is The Mighty Quest For Epic Loot. This game is a free to play action RPG video game as well, and it was developed by Ubisoft. It uses the dungeon crawling concept too but it’s different in the sense that they introduced castle building mechanics. There are four classes to choose from, i.e. knight, archer, runaway and mage. The purpose of the game is divided into castle building and castle assault. If you’re building the castle, you can put monsters, traps and obstacles. On the contrary, if you’re assaulting someone else’s castle, you get to use one of the classes and defeat the obstacles to obtain the treasure. In a sense, it’s like a turn based game (or maybe not) where you have to build a castle and later attack the other castle (or vice versa). 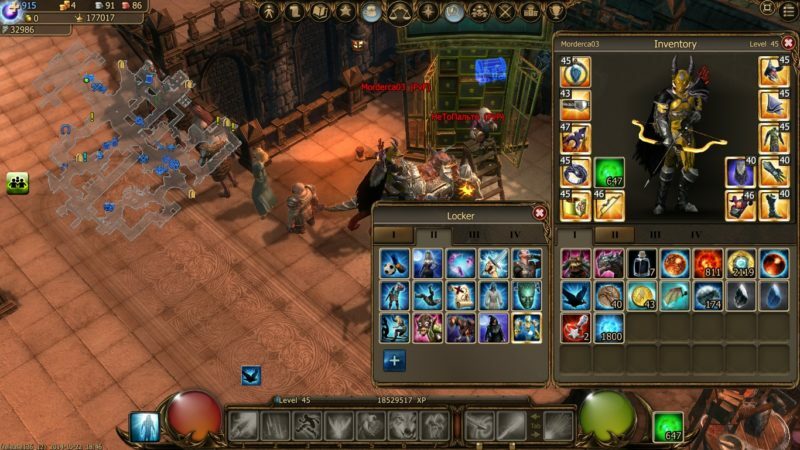 Magicka 2 is another co-op game where players team up in Midgard after it was almost destroyed due to the wizard wars. In this game, four wizards have to go to Midgard armed with spells to correct the situation. 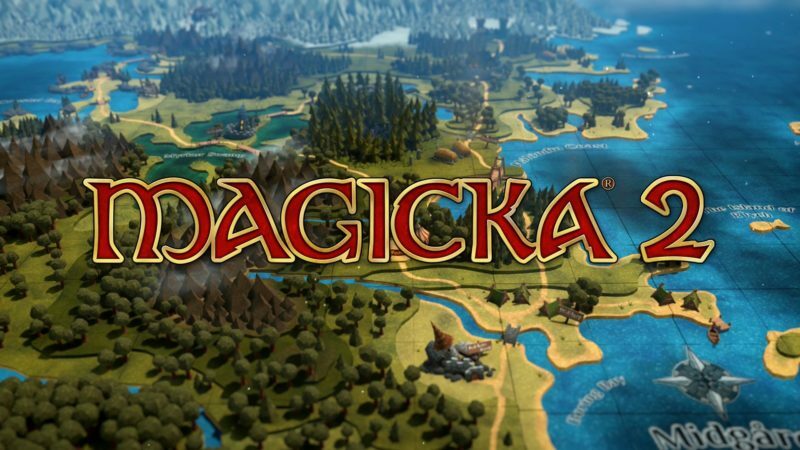 In this 2nd installment, there are plenty of new spells that you can use against both friends or foes with much better graphics compared to Magicka 1. There are over a thousand different spells for you to experiment with. You can play with up to three other players in a game with friendly fire mode, where you can either attack your foes and even your friends. It also comes with full co-op support, meaning all game modes and levels in the game are built for up to four players. There are also plenty of robes and weapons to choose from. Do check out this game today. 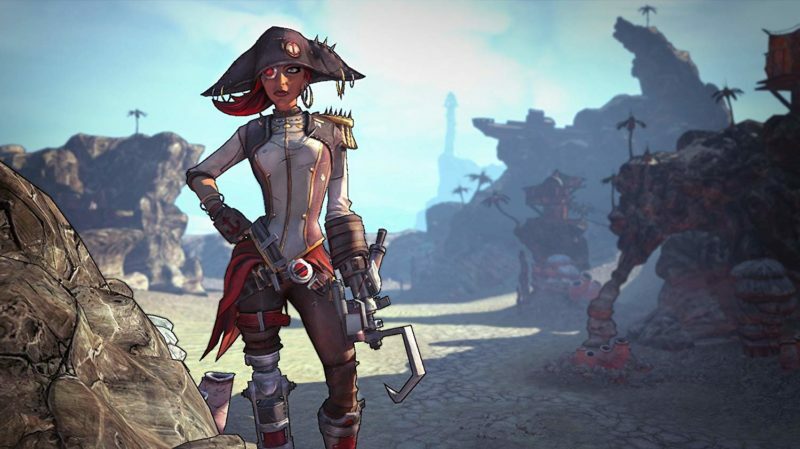 Borderlands may not have the third person view like in Diablo 3, but it’s still an action RPG genre. It is playable on PC and in different consoles (PS and XBOX). There are four Vault Hunters to choose from and plenty of missions plus side quests to do. This first-person shooter is suitable for the trigger happy people. You have to blast through loads of opponents and have so many different types of guns at your disposal. Whether it’s rocket launchers or shotguns, you can get them in the game. This iconic game also allows you to play online with up to 3 other players (4 in total). Furthermore, this game has vehicles for you to use against your opponents and even engage in vehicular combat. Heroes of Ruin is a game popular on the Nintendo 3DS and is also an action RPG developed by Square Enix (the same people behind Final Fantasy). This game features a mercenary who attempts to find a cure for the ruler of Nexus who is dying from a curse. 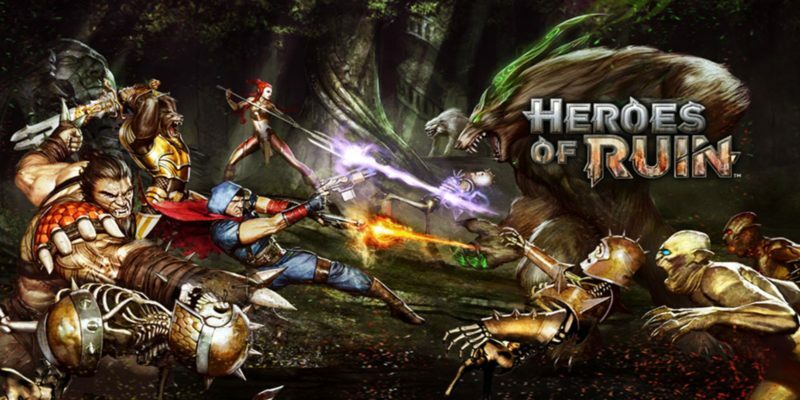 The hero of this game (the player) can choose to either make an alliance with others or to go solo. There are also plenty of dangerous creatures in the game that the hero has to face. You have a choice of four different characters, i.e. Vindicator, Gunslinger, Alchitect and the Savage. Each of these characters have their own background story. Drakensang Online is an online RPG developed by Bigpoint. This game is a good alternative to the Diablo series and is known for being similar in gameplay. You have the choice of between four characters, i.e. Dragonknight, Spellweaver, Ranger and Steam Mechanicus. Each character has a different skill set. You are also allowed to create up to four characters for each account. Drakensang can be played alone or with friends, and is quite similar to MU Online. Players can explore the world known as Duria and it has many regions and cities within the world. It is considered as a freemium game, as you can purchase virtual currency to buy and upgrade weapons or get other features. The virtual currency can be bought with real money or by participating in surveys given by the sponsors of the game. 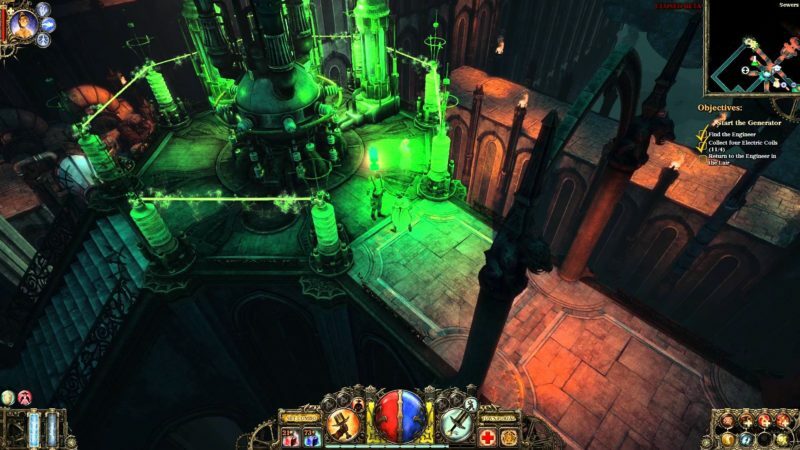 Next on the list of games like Diablo 3 is none other than The Incredible Adventures of Van Helsing. Graphics-wise, they look pretty similar especially on certain maps. As the name suggests, this game is about playing as Van Helsing, the guy who hunts monsters and you get a companion (Lady Katarina) for your journey. In this game, science happens to threaten the peace between men and monsters, and you’re meant to stop it. There are plenty of features or things to do in this game, including interesting dialogue between characters, building a hideout against monsters or even forging powerful items. You can also play as a co-op together with other people (up to 4 people). Last but not least is Victor Vran, another action RPG video game. You can get this game on Steam, like most of the other games above. Visually, it’s also similar to Diablo 3. This game is all about using tons of different weapons, outfits, powers, destiny cards and items to kill hordes of enemies. You even have special moves and can combine skills plus weapons to defeat beasts or bosses. 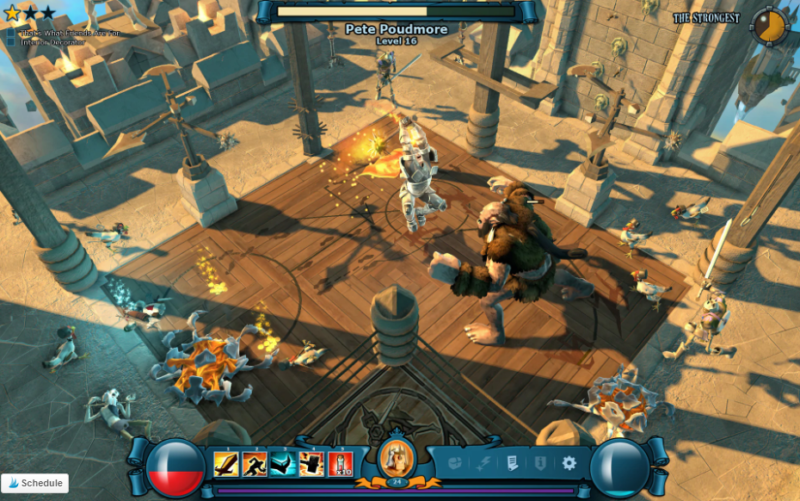 Additionally, Victor Vran also comes with a multiplayer feature. You can team up with some of your friends online to defeat enemies together. Local cooperation via LAN should also be available. One interesting thing about the game is that monsters have very different behaviors, so you have to calculate your moves wisely. Victor Vran also comes with a PvP mode for you to compete with your friends or other people. Other Games Like Diablo 3? This list of Diablo 3 alternatives is not exhaustive at all. There are plenty of other games similar to the Diablo franchise but are not listed above. Do leave your comments below on which games not mentioned above should have been listed in this article.